Back in June, I wrote about looking for diecast cars at the Indianapolis 500 open wheeled race. The race was on May 29, 2016, and was the 100TH RUNNING! I found some modern Indy style race cars there, in 1/64 and 1/18 which are popular scales in the US. That was about all I saw, and I did not buy any. Then, my Mother, being the ultimate model car collector, gave me a 1/24 scale Indy Roadster for my birthday. I did not see this car anywhere for sale at the track in May. She found it in a magazine ad! The gold race car is in the style of the late 1930’s and 40’s with a long hood for the engine. Embossed printing on the hood says 100th Running Indianapolis 500″ in red; on the rails underneath it says “INDIANAPOLIS MOTOR SPEEDWAY”. 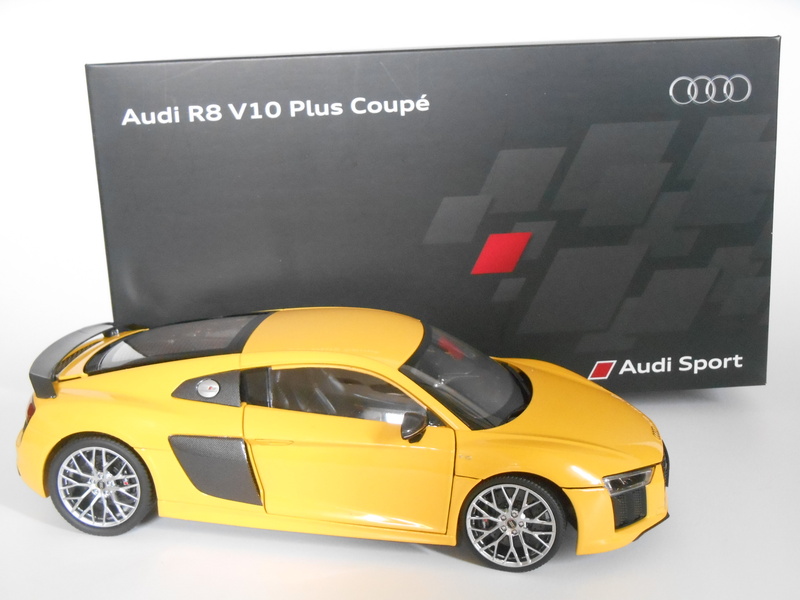 The packaging was definitely for the 2016 race, and the car was made by Enlighten in China, a large well-known, local company that makes all sorts of model cars. Because of the retro style of the Roadster, with was unlike any Greenlight I had ever seen, I searched around online and found out that they had also made a similar one ten years before! 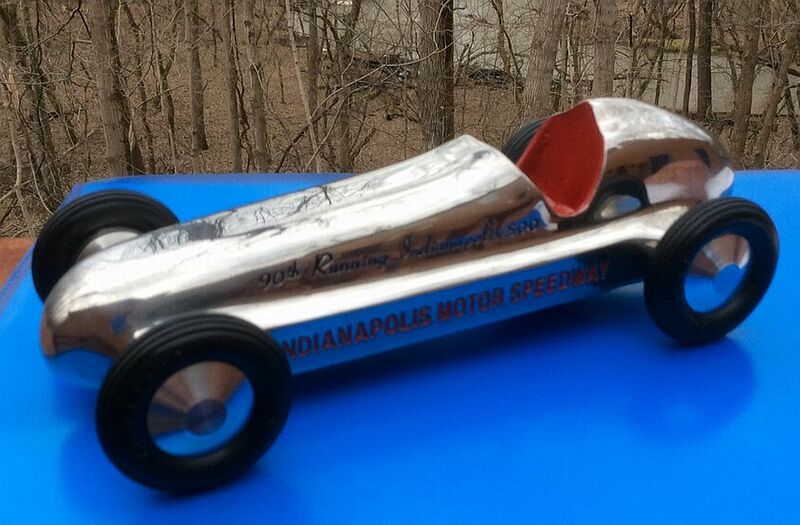 For the 90TH RUNNING of the Indy 500, Greenlight made a silver one and called it an Indy Racer on the box. Not sure why they changed names. So I was on the search for its twin and found it that same day ending at an online auction site. The owner turned out to be from Indianapolis and had bought it at the race in May 2006 at one of the track gift shops. What a small world! So I had to have it and won it easily. The box was more generic with no mention of the 90th running or the 2016 race itself. The copyright on the bottom was 2006 so that was a give-away. However, the same printing is on the car except that 90th was in place of 100th, still in red. The seat is the same red color, as the newer 100th version! Once they were out of the box, other differences became apparent, not just the color and the printing. The silver one is marked stainless on the box and is much heavier than the newer gold model. The bases are different as well, even they they are the exact same dimensions. The silver is one-piece with a seam inside running down the middle. 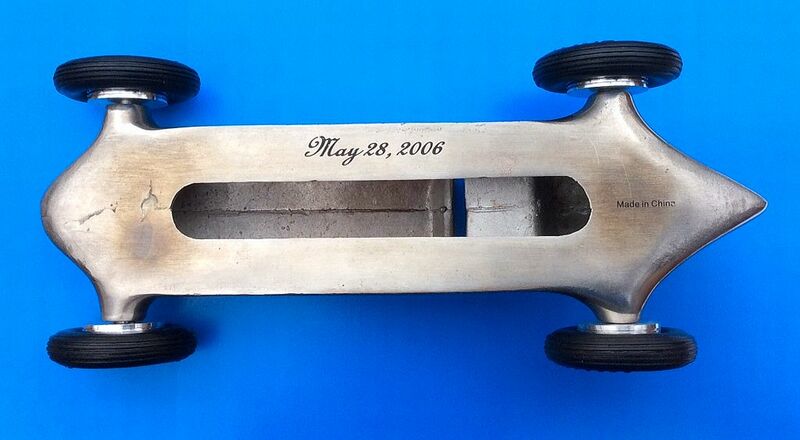 It’s nice to see the date of the 2006 race engraved on the bottom. From my untrained eyes, it looks to be cast, polished stainless steel. The lighter-weight gold one has a separate baseplate attached with six recessed screws. 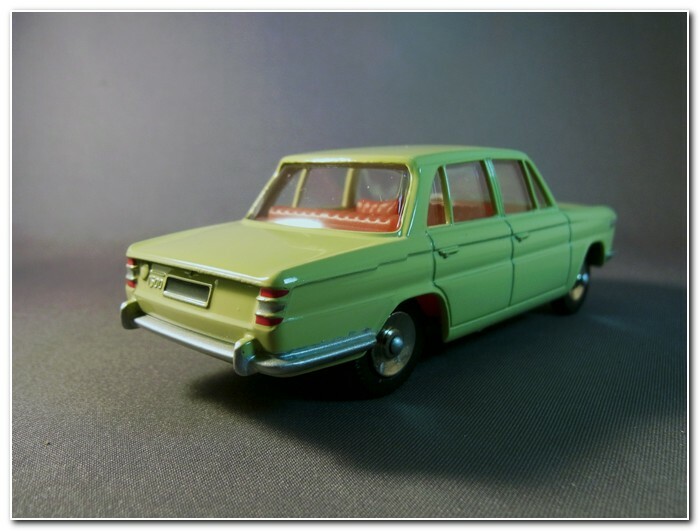 Is this diecast made from the typical zinc alloy, like zamak (mazac)? I assume the cost of a new mold for the gold one was feasible versus the cost of stainless steel, or the 2006 mold was lost? In any case, 2006 is NOT the beginning of the story. The box for the silver one talks about the original 1946 version that Tony Hulman (the owner of the track) and Wilbur Shaw (driver and President of the track) gave to drivers and sponsors. I have the two new reproductions now, so perhaps I need to start prowling around the antique markets in Indy and online places to dig up nine more! The hunt is on! 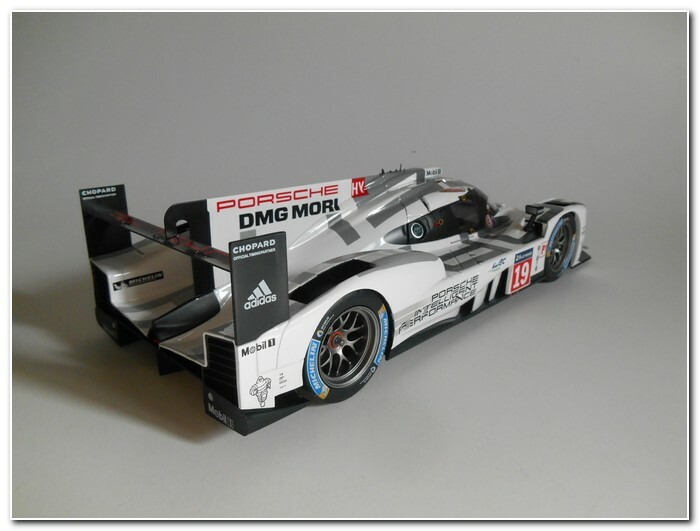 A few months ago a new model was added to my 1:18 scale Porsche promotional models collection: the 919 hybrid, winner of Le Mans 2015. 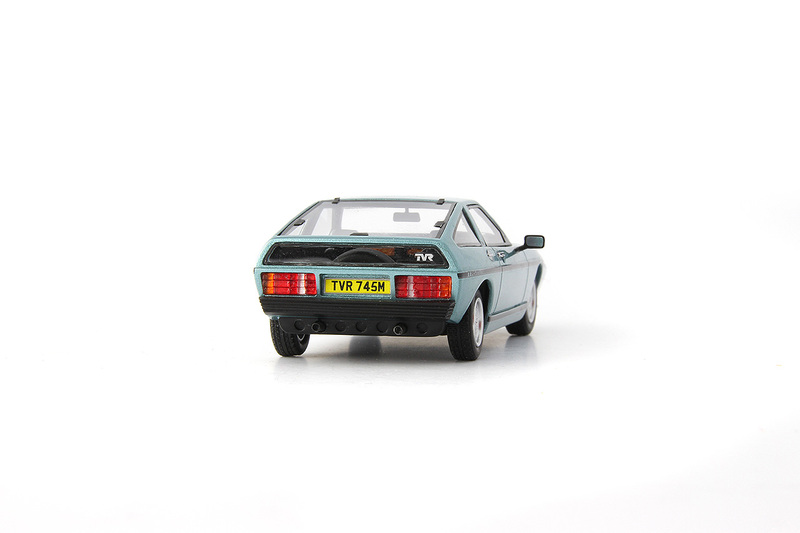 An imposing model, it was produced as a diecast by Spark for Porsche as a Special Edition (WAP 021 819 0G) but there seems to be no visible difference at all with the identical resin Spark item (no. 18LM15), apart from the box, the black base and the price. There are no opening parts, but despite this it is quite fragile due to the many antennas and needs quite a lot of care in handling. 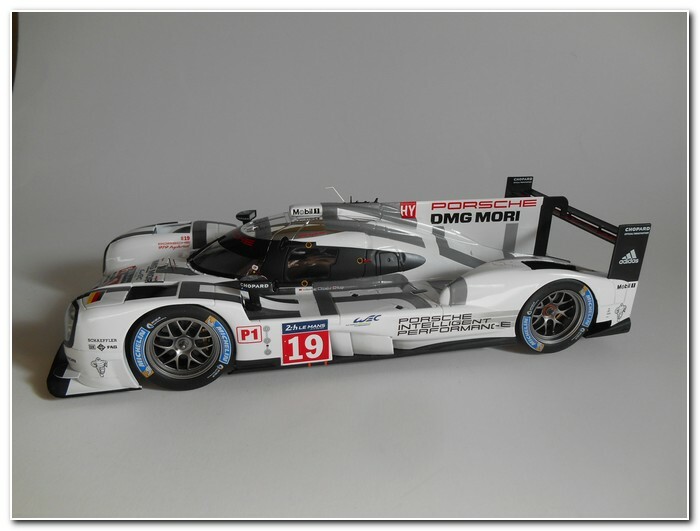 The real car is a sports-prototype racing car of the Le Mans Prototype 1-Hybrid (LMP1-H) category. It has a composite chassis of carbon fibre with a honeycomb aluminium core, and a turbocharged V4 engine with lithium-ion battery for energy recovery, plus an exhaust-energy recovery system. 2013 was its first public showing with only an eleventh place at the 2014 Le Mans 24 Hours race. In 2015, with more than 80% new parts, car no. 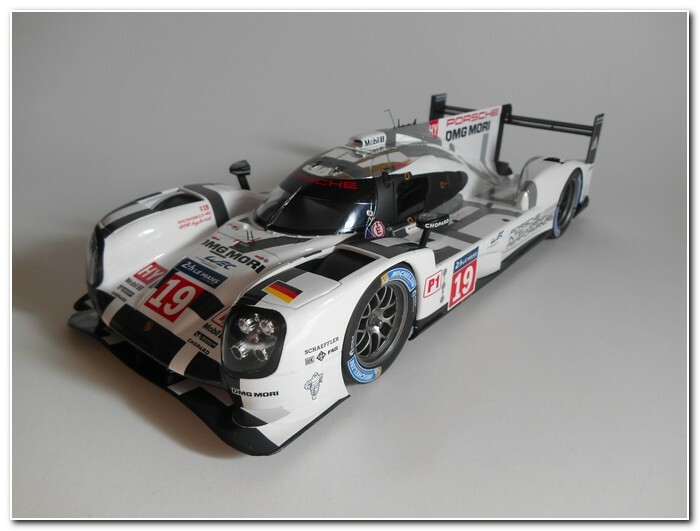 19 was driven to victory at Le Mans by Earl Bamber, Nico Hulkenberg and Nick Tandy. Other 919s took second and fifth place with cars no. 17 and 18. 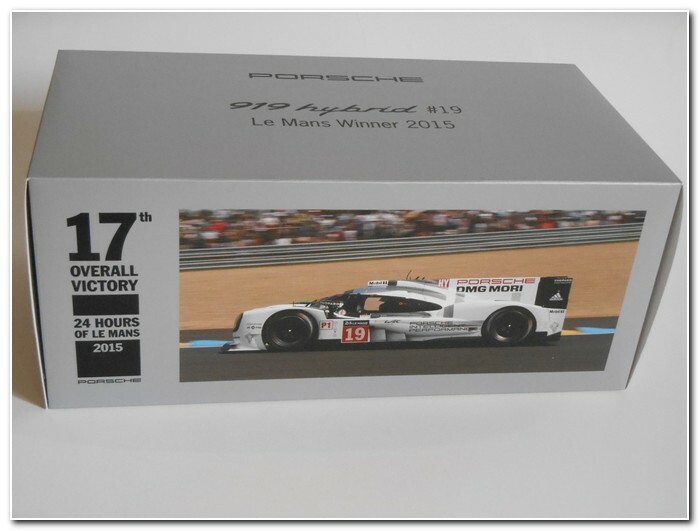 The 919 went on to win both the 2015 and 2016 FIA World Endurance Championship. An important car, but (alas) an ugly one, at least compared to the Ford, Ferrari and Porsche of the 1960s, and not helped by its white and black lettered livery (excellently rendered), based on the Porsche slogan “Porsche Intelligent Performance”. This article has been transferred from the Zeteo site where MAR Online used to be located in order to make sure that the record of Jaguar Models provided by John’s articles continues to be available. 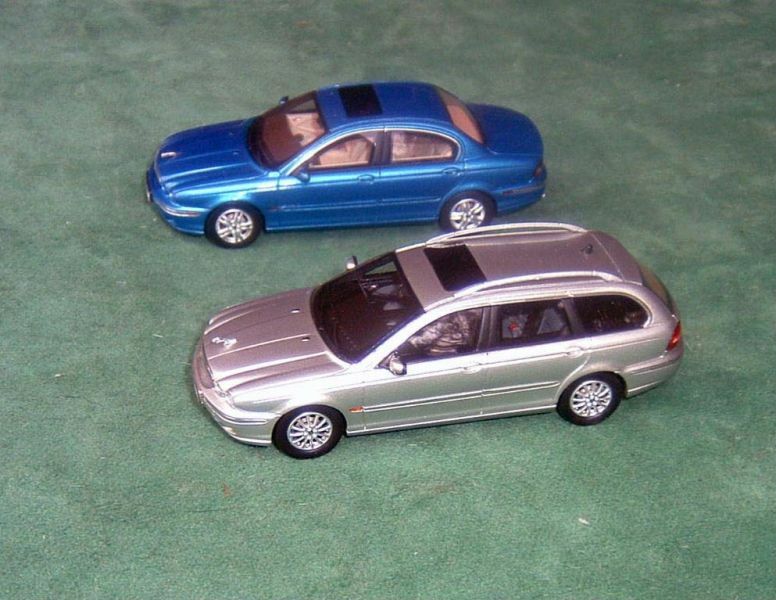 It has taken a while for a model maker to produce 1:43 scale versions of Jaguar’s erstwhile entry-level car, the X- Type., but Premium X has come through with both the saloon and the estate versions, each in two colour choices. 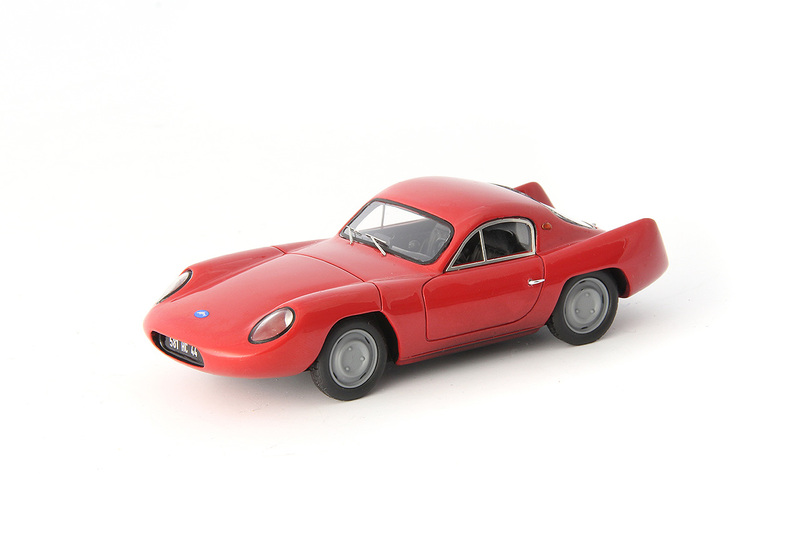 Previously the most common X-Type models were in 1:18 scale by Maisto. 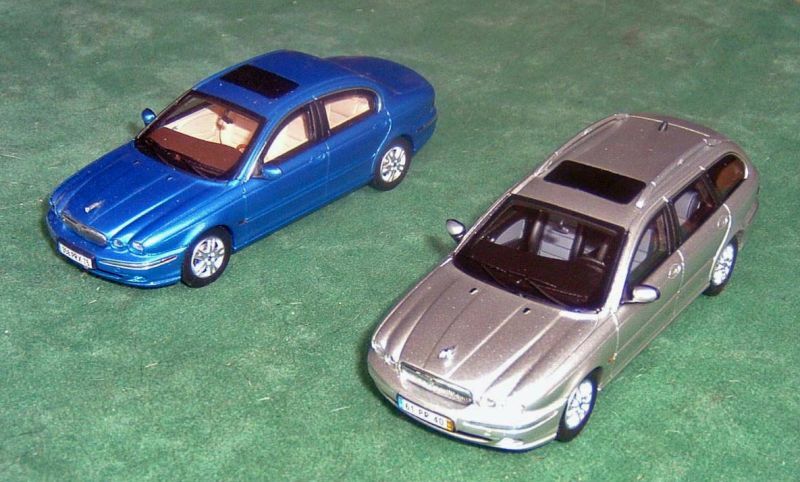 I had been inquiring about who might make these two cars since I needed to fill in this gap in my ever growing Jaguar museum in 1:43 scale. Communications a few years ago with our Executive Editor was not encouraging; at the time he said Jaguar Cars would not issue any licences for the X-Type, as they wanted to walk away from this period in their history although they are now planning a new small Jaguar saloon range. I even proposed writing to Jaguar encouraging them to grant the model licence but he told me in so many words, ‘Don’t bother, it’s not going to happen’. Well, Jaguar must have had a change of heart, as Premium X now has two nice versions. These are in resin and in left-hand or right-hand drive depending on the colour. 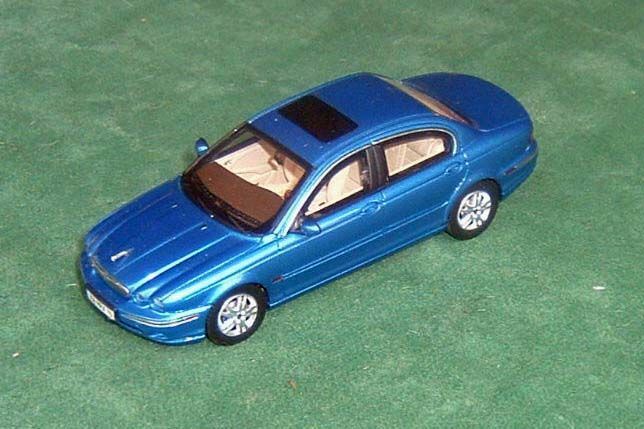 My saloon is in a colour that appears to be Jaguar’s Kyanite blue with the Champagne interior and 17 inch Bermuda alloy wheels. 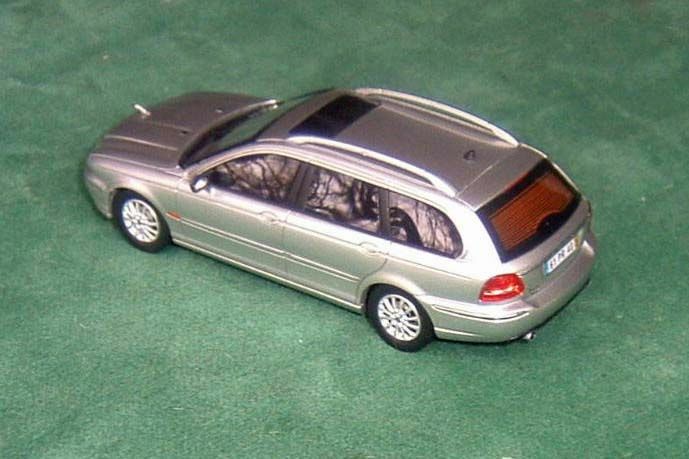 The estate car is in liquid silver, with a warm charcoal interior, and has the Antares 17 inch wheels. Jaguar has so many wheel choices now that they have taken to giving them specific names. The saloon is also produced in Jaguar racing green with Champagne interior in right hand drive and the Sport-wagon in black with mocha interior, again in right-hand drive. There is reasonable undercarriage detail showing stainless exhaust systems and belly pans under the power unit. 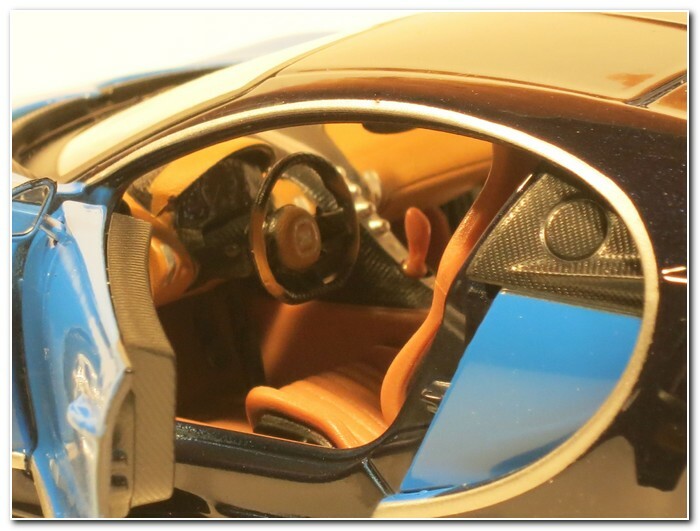 Both have glass sunroofs and a delicate heated rear window grid, just like the real car. And as usual with Premium X items, they come in a nice protective perspex display box. All in all I’d say the wait was worth it, and they will take a place alongside my other Jaguar saloons, the S-Type, XF and XJ models. Atlas Editions Germany has announced the immediate cancellation of any more models in this series which I have been describing for MAR Online. Three collections of vehicles of the former DDR remain: DDR Auto Kollektion; DDR Nutzfahrzeuge; and DDR-Motorrad Kollektion. Atlas seem to be quick to close down collections which are not selling as they hope and to replace them quickly. The Dinky Collection was closed in the Autumn of 2016 for example. 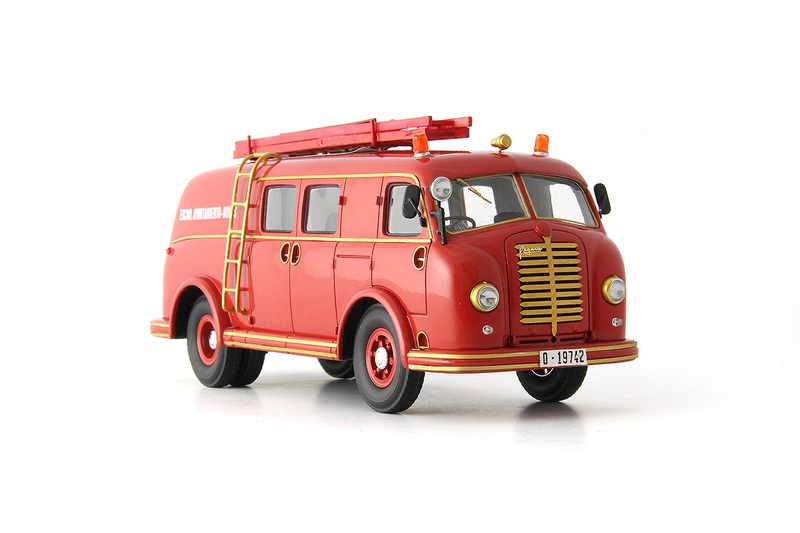 The latest collection from Atlas in Germany is an Ambulance collection which has started with a Mercedes-Benz Binz ambulance which will be familiar to all those who collected the James Bond Vehicles series. 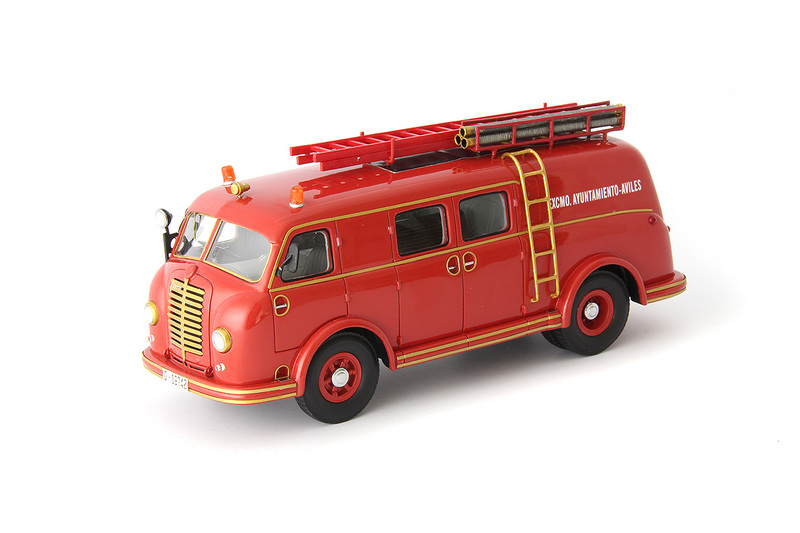 The latest Dinky model from the UK Atlas Dinky collection has arrived. Again a replica of a French Dinky model previously seen in the collection issued by Atlas France. 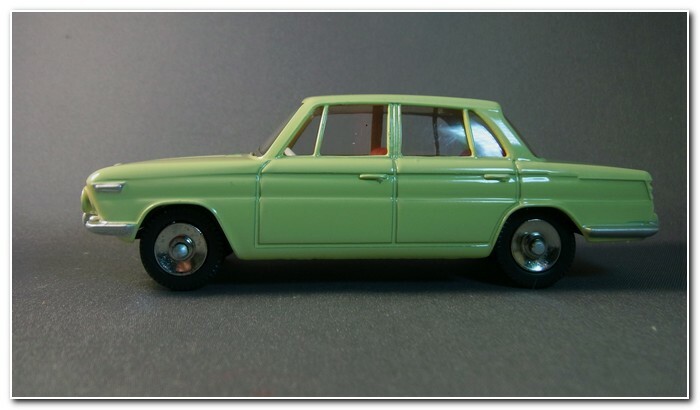 The BMW 1500 was produced by Dinky France between 1963 and 1968. Atlas UK has chosen to have this modelled in pale green with a red interior. It was also originally produced in dark red as well by Dinky as shown by the box art. 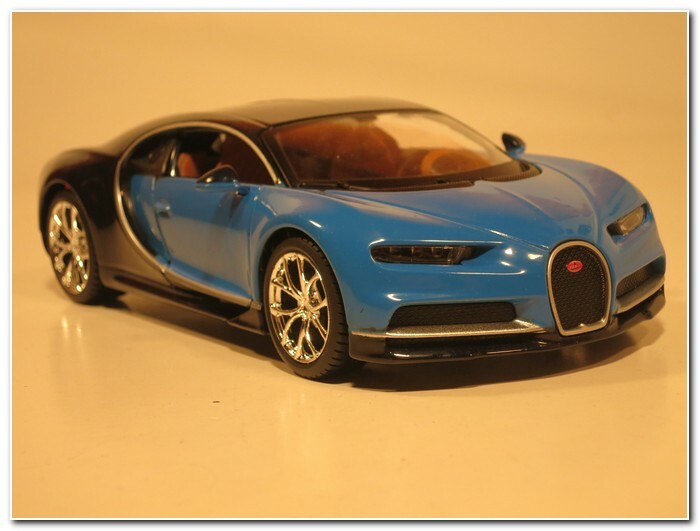 The replica made by Norev in China is finished to a high standard capturing the original toy very well. As always the baseplate is clearly marked as made by Atlas and Mattel. Nice though this model is I am sure that more collectors may cancel their subscriptions. Atlas advertising for this series focused on Binns Road and its products yet there have been no new UK Dinky castings for some months. One wonders if the current Dinky Vans range which has just launched with an Oxo liveried Trojan van was launched in an attempt to get some of the collectors who have abandoned this collection back. 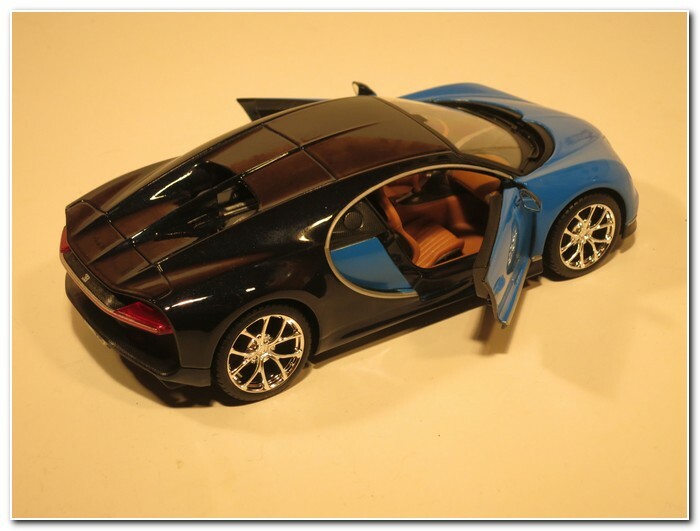 The latest models from Autocult are shown below. 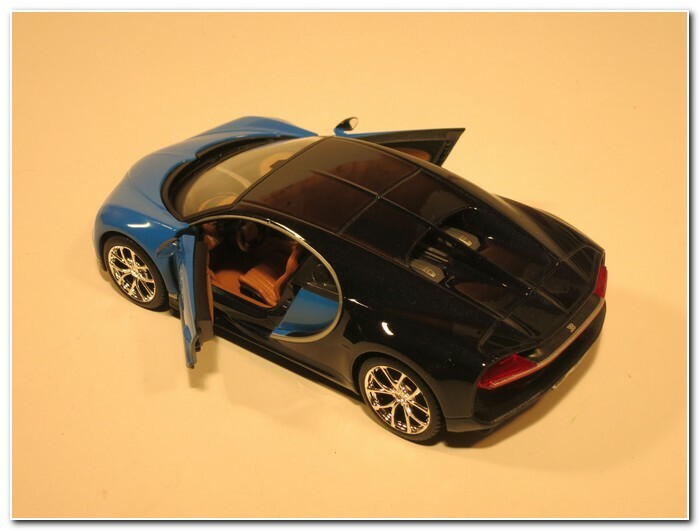 These are all made in resin to 1:43 scale in China for Germany. As usual there are models from the multiple categories of their output. Designed by Oliver Winterbottom who had previously worked for Lotus Sportscars the Tasmin was launched in 1980. 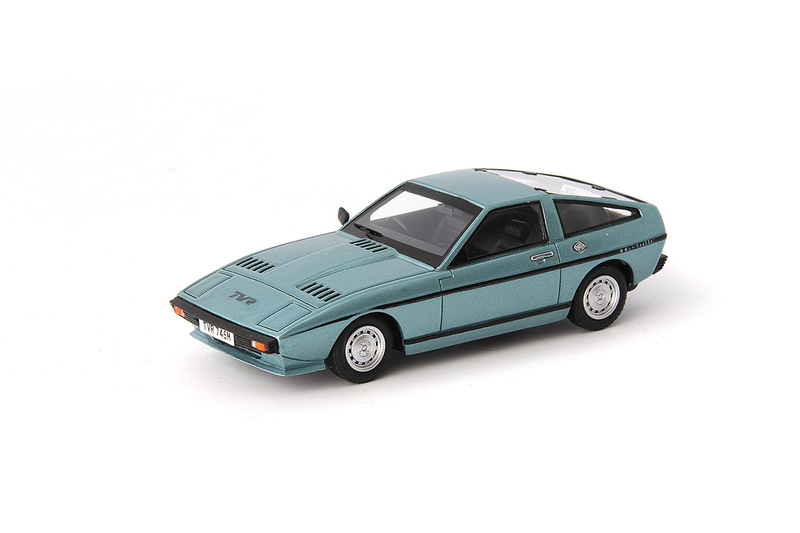 The influence of the designers work on the Lotus Elite were clear. The wedge shaped design was a marked departure from the rounder cars that had preceded it. 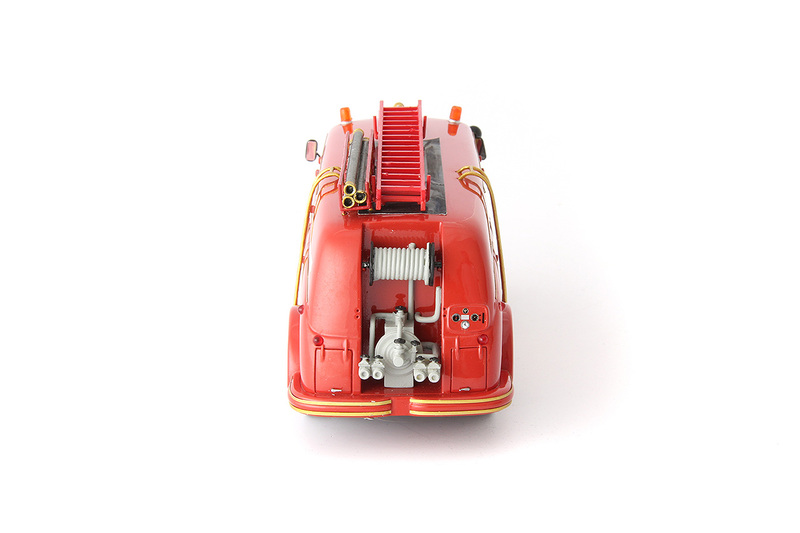 Although the fibreglass body was made in house most components from the engines to the switch gear were bought in Ford parts. Designed by a young French engineer Guy Mismaque it began life fitted with an engine from a Citroen 2CV in a fibreglass body but Citroen failed to supply engines they had promised so it was re-engineered to take the Simca 1000 engine though that arrangement also unravelled as the Chrysler takeover of Simca took place. The first car was launched in 1959 and ready by Autumn 1960 but it never gathered enough interest for series production. It is uncertain how many cars were but Guy’s son Franck thinks that seven or eight cars were made in total. Tempo three-wheelers were very popular delivery vehicles in the immediate post-war years when demand was high and only a very limited supply of vehicles was available. By the early 1950’s people wanted more conventional vehicles and in 1953 the Wiking was presented at the motor show with a load capacity of 850 kilograms powered by a small Heinkel two stroke engine driving the front wheels. 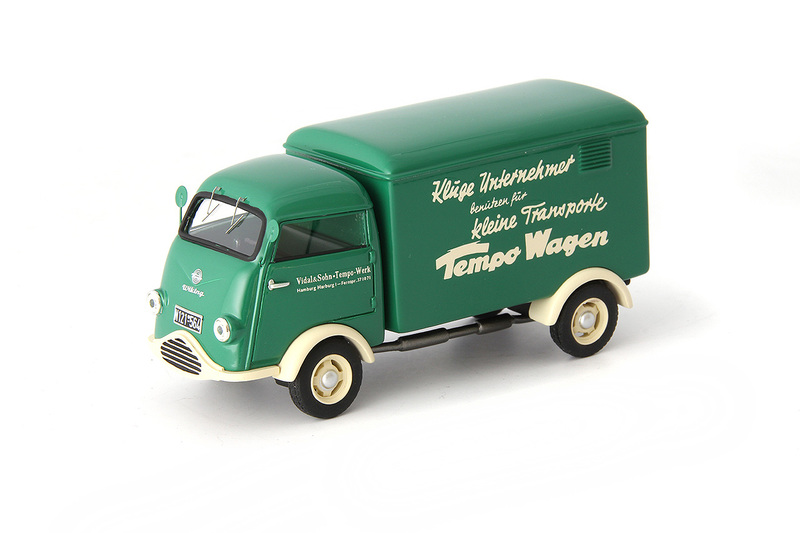 The small van was an immediate success and 12,590 were made by 1955 when the Wiking was replaced. After World War II the Hispano-Suiza type 66 truck was sold under the Pegaso brand name. The type 66 G evolved into the Pegaso Z-202 and Z-203. The cab design gave it the Spanish nickname Mofletes. Translated into English that is “chubby cheeks”. The Z-Series was a strong seller to hauliers and the construction industry and when Fire Brigades needed to modernise their fleets a conversion with specialist bodywork sold well to them too. Carrying up to eight firemen and their equipment plus fire hoses to attach to hydrants. 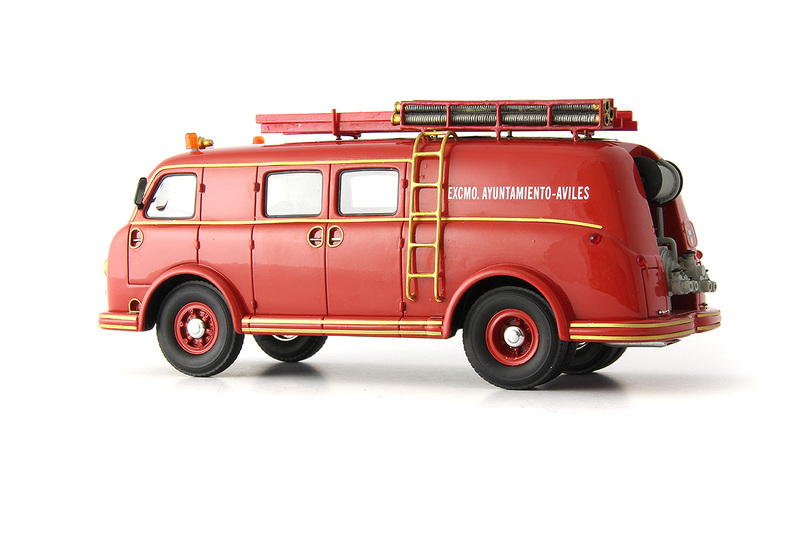 The fire appliance conversion had different bumpers and fittings to the truck which were coloured in gold to contrast with the red colour of the Fire Brigade livery. 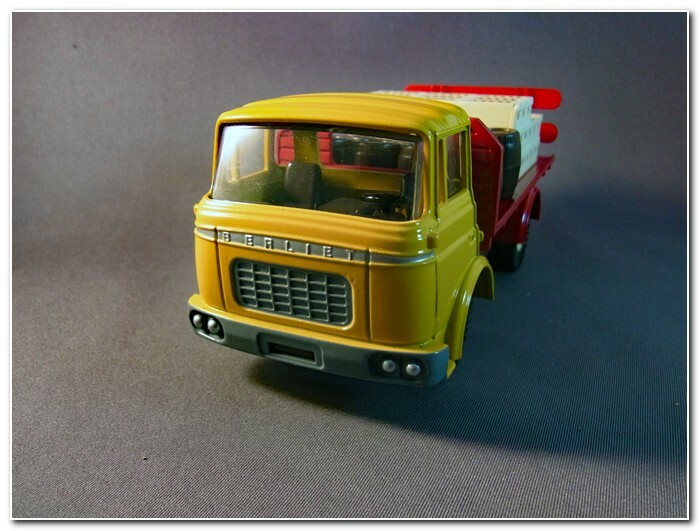 The latest issue in the Atlas Dinky Truck series in the UK is of a French Dinky truck. The Berliet GAK as a Brewery Lorry. 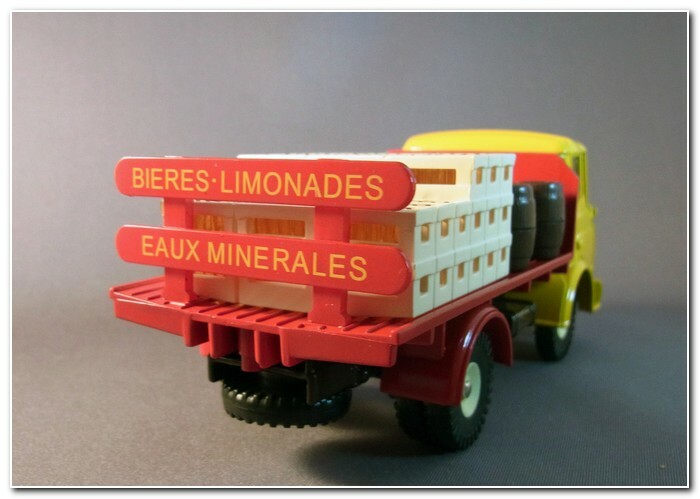 This Cab was used by French Dinky on several models: a cattle truck; a flatbed with tilt, a tipper, and a recovery truck. The brewery wagon was produced from 1964 to 1970 in the livery modelled on this replica. After that a special promotional run was made in 1970 and 1971 for Kronenberg in all red paint with Kronenberg printed on the tail board. By this time the GAK had been out of production for several years replaced by Renault trucks after Citroen sold Berliet to Renault. The Atlas replica has been very well made. The cab is a lovely moulding on the original and the replica is excellent. 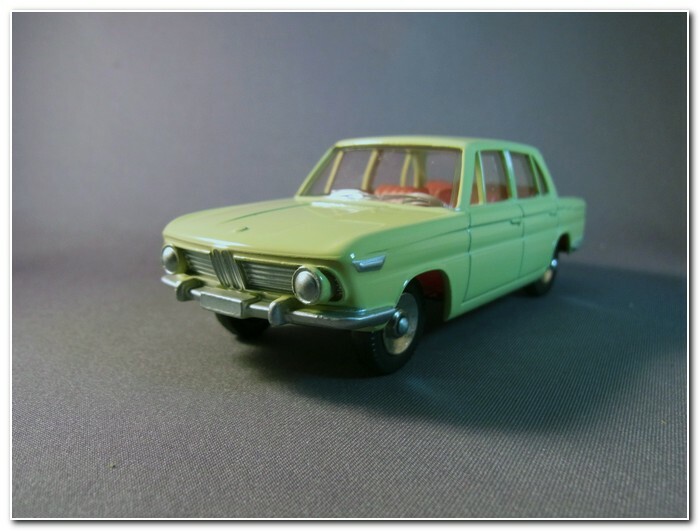 In many ways this is the French Dinky equivalent of the UK Dinky Bedford TK and it seems to me that the French toolmakers paid more attention to getting the cab true to the original vehicle. As can be seen in the picture above the tail boards are nicely printed and the model comes with a replica load as well. 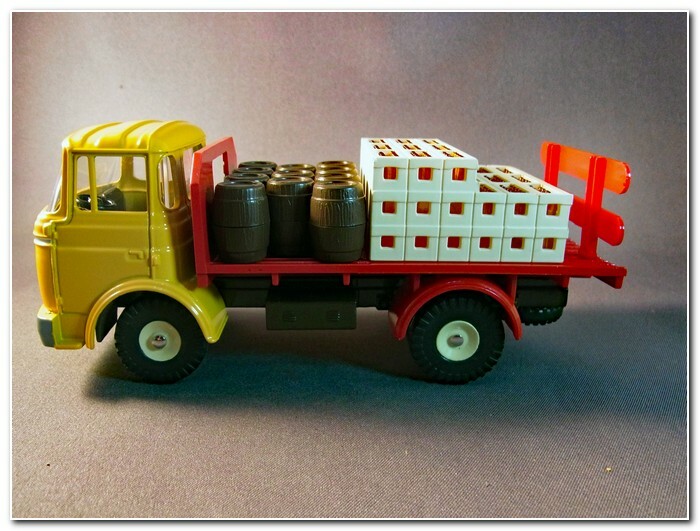 The barrels and bottles have period charm and I am sure that many owners of the original model missing their barrels and bottles will snap up this model just to get replacement parts. Other collectors have expressed their unhappiness with French Dinky’s being introduced in this range but web comment suggests that the next few models may be an Austin truck, Guy can Spratts, Foden Tanker Regent. Leyland 8 Wheeler Wagon yellow/blue, and Guy Van Slumberland.